What a night! You said goodbye to 2015 and brought in the New Year in style. You and your friends had fun and you threw a party no one will soon forget. Now, it’s time to start the hard part – the clean up! Post party cleanups are never very much fun, especially if you indulged in a little too much in the champagne the night before. As you clear away the confetti and dig through the decorations, you might have a few unpleasant surprise additions to your decor – stains on your laminate flooring. Stained laminate is frustrating. You loved your party but that’s not the record you hoped to keep from it forever. Never fear. There are ways to remove stains from laminate and restore your flooring to its perfect look. Most of the time, laminate can be cleaned with just a damp cloth and dry mop. When it comes to more challenging stains, you might need something a little bit more aggressive. Mix these together in a bucket. Then, dab your rag in the mixture and apply the solution only on the stained part of your flooring. 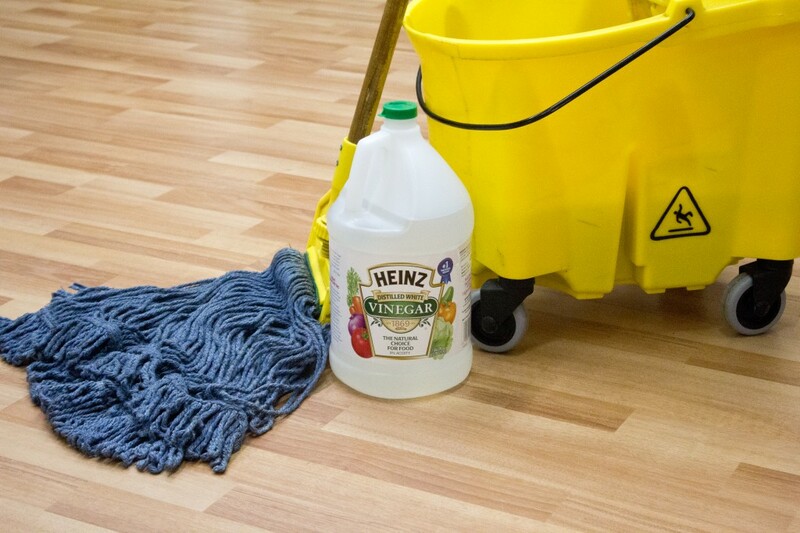 With some gentle scrubbing you’ll be able to remove the stain and restore the look of your floor. Harder stains, such as lipstick and shoe scuffs, might require a little extra care. For these types of stains, use an acetone based cleaner, such as nail polish remover. These can be harsh on your flooring so you shouldn’t use too much of it. Only use this cleaning option when no other options work. Do you have gum or candle wax stuck to your floors? Ice it out instead of scrubbing and scraping. Apply an ice cube to freeze the gum or wax. Once frozen, use a plastic scraper (such as one you’d use on your dishes) to gently pull the gum or wax off the floor. Don’t use anything sharp like a knife or metal scraper as these can damage your floors even further. 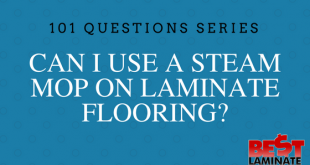 If none of these tips work, you might need to replace your laminate flooring. That’s a job that sounds much more daunting than it really is. All you have to do is remove the baseboards around the perimeter of your room and then pull up each piece of flooring by unlocking it from the other. Once you’ve reached the stained plank, remove it and replace it with a new one. Then, replace all the other planks after it. Your floor will look like new again in minutes! We want to see those tough stains! Take a picture before you start cleaning and share with us how you removed the stain from your laminate. *This post was updated from 2015 to give you a better reading experience and better tips on how to keep your floor looking good after this holiday season!